While I was browsing the library for new cookbooks, this book caught my attention. One of my goals for the next 2 1/2 years is not eat out for 1 week. The author of this book didn’t eat out for 2 years. The book starts with an introduction of the author and gives her reason for deciding not to eat at restaurants. Her main reason is that it is expensive to live in New York City and she realizes she is not saving any money for the future. Thinking about all the money she spends on eating out, she decides to she decides she will prepare all her own meals. 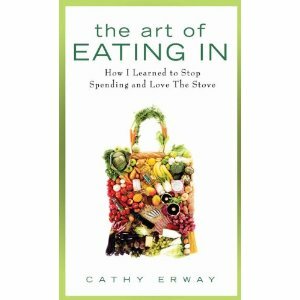 The book is a collection of stories describing how not eating out affects her life and relationships. It is well written, humorous, and touching. She shares many descriptions of meals she prepared which are descriptive enough to make you interested in trying them. Unfortunately, only a few of the recipes she describes are given in the book and the recipes that are presented seem very labor intensive and highbrow. The author also shares her food-related adventures, including a trash tour of bakeries and groceries after they close for the night, foraging tours in city parks, underground super clubs, and food competitions. She also discusses other ways not eating out influenced her, such as developing more concern for where food comes from. The book ends with her decision to end the eating out ban after 2 years.